Ghost never compromises. And with Black Badge, that purpose is intensified to a whole new level. A bolder aesthetic transforms this masterpiece of versatile simplicity into something braver, darker and more defiant. Ghost Black Badge’s striking stance exudes confidence, hinting at the refined power that lies waiting under the bonnet. It’s time to discover your darkest side. Ghost is the embodiment of understated composure. But Black Badge adds a potent edge to its presence. This is a more tenacious, more dynamic incarnation of luxury. The Spirit of Ecstasy’s dark silhouette draws you deeper into the night. Dark chrome elements accentuate the subtle sculpting. 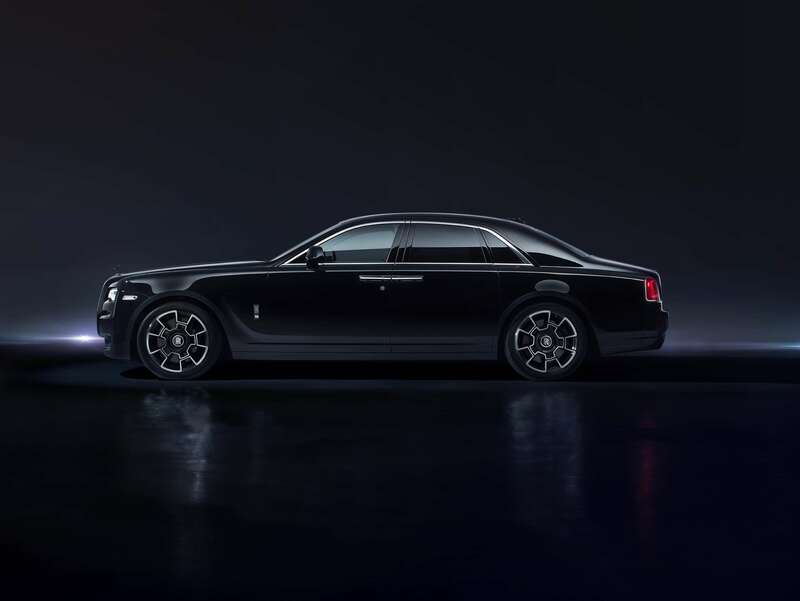 The Rolls-Royce badge reveals its darkest side. Carbon fibre composite wheels elevate the sleek profile – with a self-righting monogram that remains upright even when the wheels are in motion. 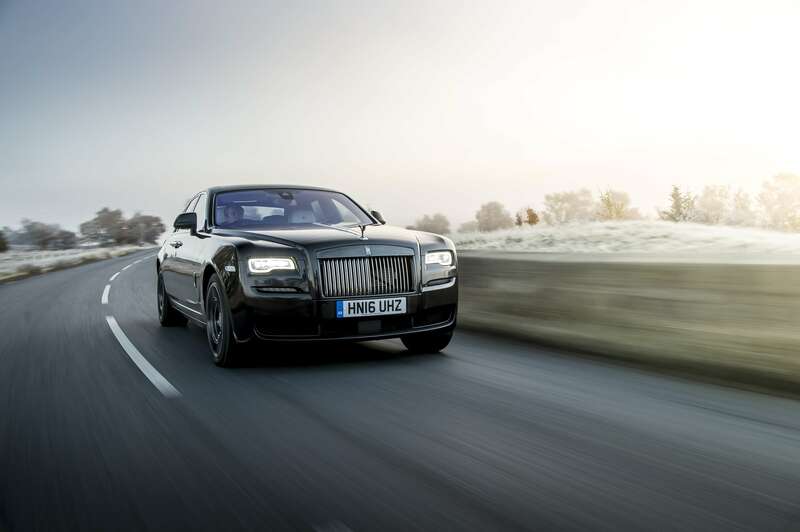 Ghost Black Badge is pure luxury – with added depth. Enter a cabin that is braver, bolder and more rebellious. Svelte lines envelope you, creating an air of pure confidence. The stunning technical fibre fascia – crafted from aircraft-grade aluminium and carbon fibre threads – glints with possibility. An optional Bespoke Starlight Headliner brings the night sky inside.